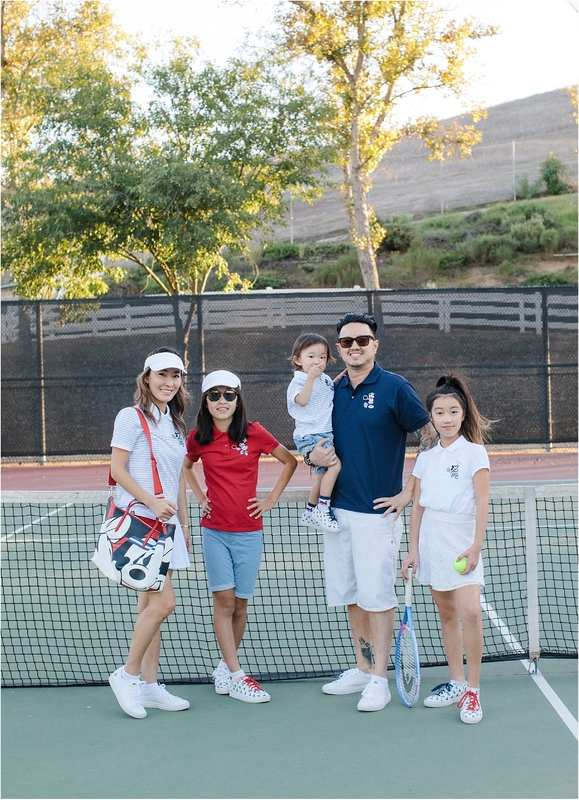 My husband and I have been a big fan of LACOSTE since before we had kids. I even bought him a pair of LACOSTE sneakers for his birthday many years ago! 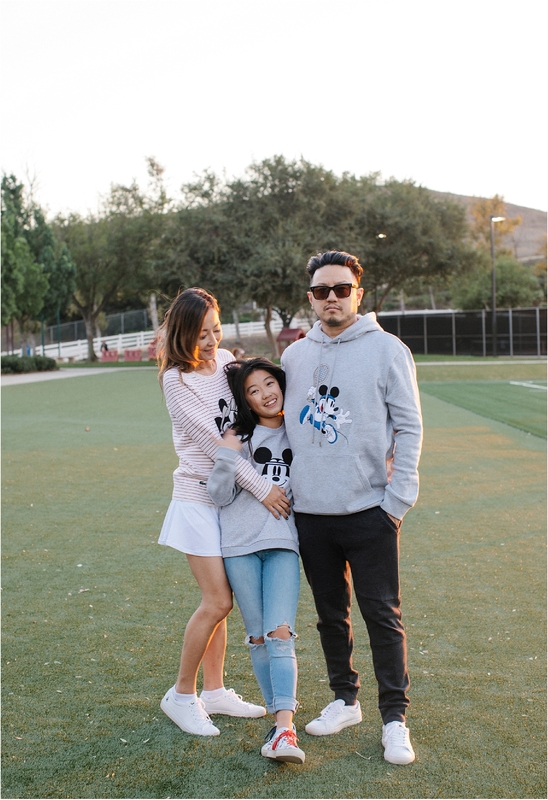 Then we got married, had three children, and like many families living in Southern California, discovered a newfound love for all things Disney, especially the iconic duo Mickey and Minnie. 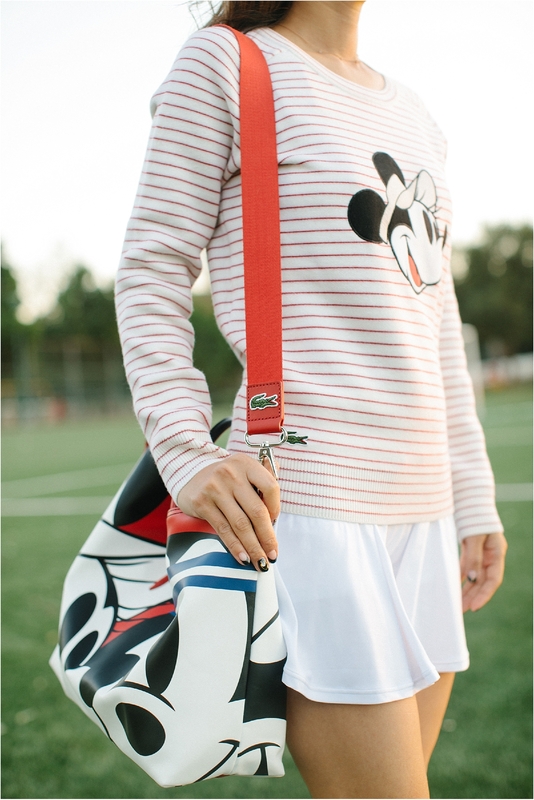 So you can just imagine our delight when LACOSTE and Disney came together for a unique collaboration celebrate their 85th and 90th anniversaries. 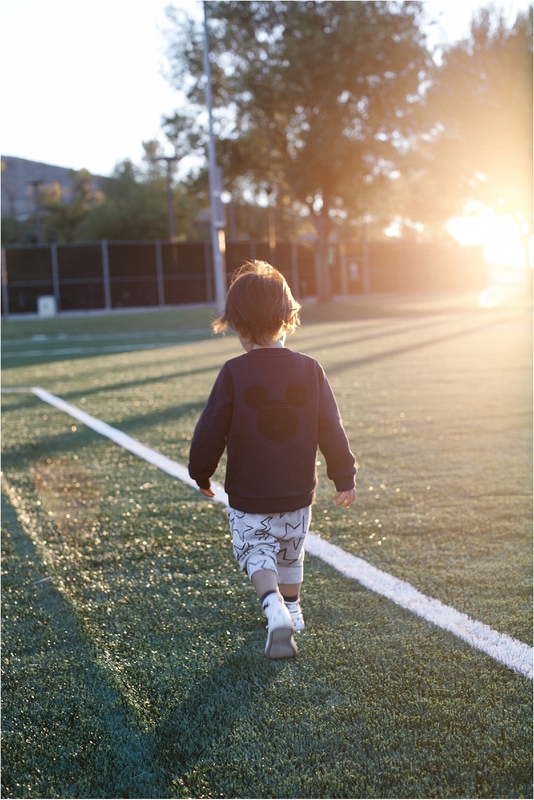 The new LACOSTE x Disney line is inspired by Mickey and his sweetheart Minnie mouse, consisting of nearly thirty different nostalgically designed items of clothing, sneakers and leather goods. One of my favorite leather goods is this leather zip tote that’s perfect for the gym, family outings and travel! 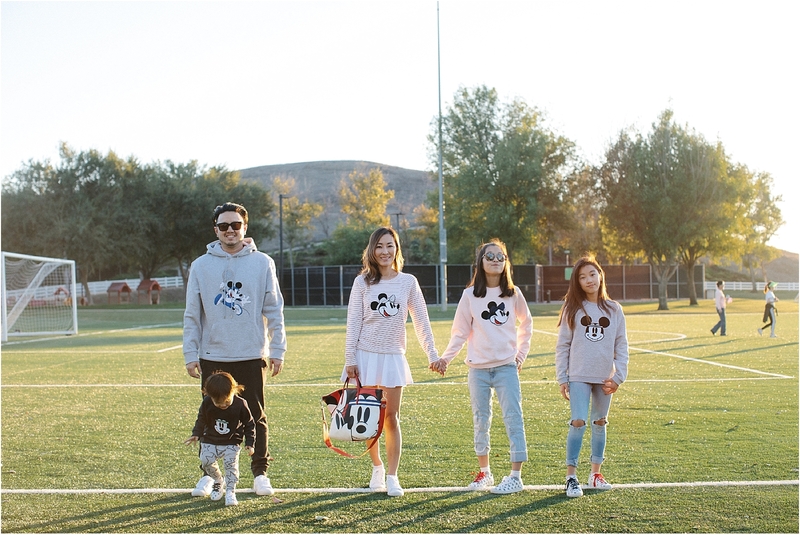 My favorite clothing for the holiday season includes these family sweaters that are stylish, comfortable and wearable for the entire family. There’s something for everyone, regardless of your style, gender and age. 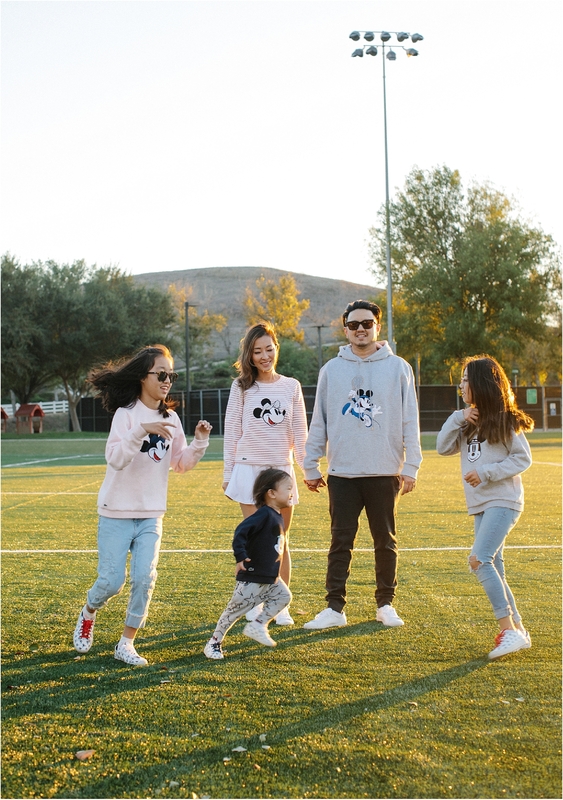 You can find hoodies, knit sweaters and classic crew necks of various colors and materials and they match and complement each other perfectly, creating the perfect family look! 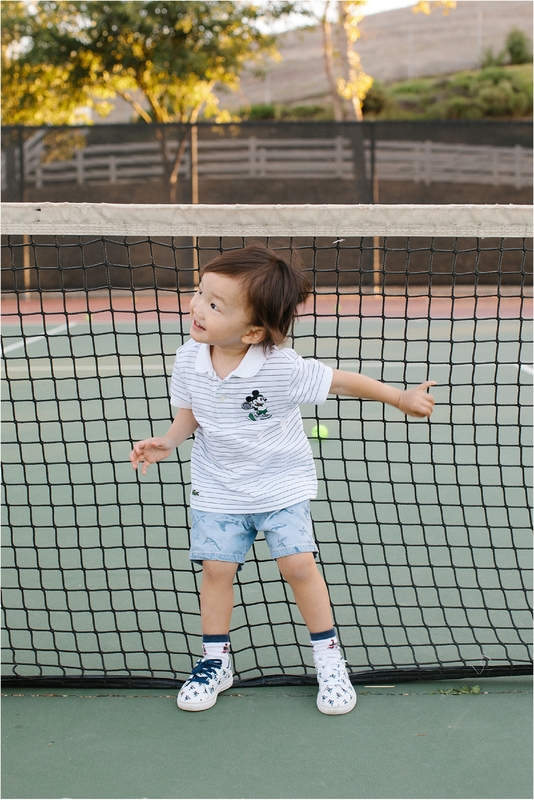 We also love the family sneakers with three different colored shoe laces (blue, red and white) which allows you to create multiple looks with a single pair. 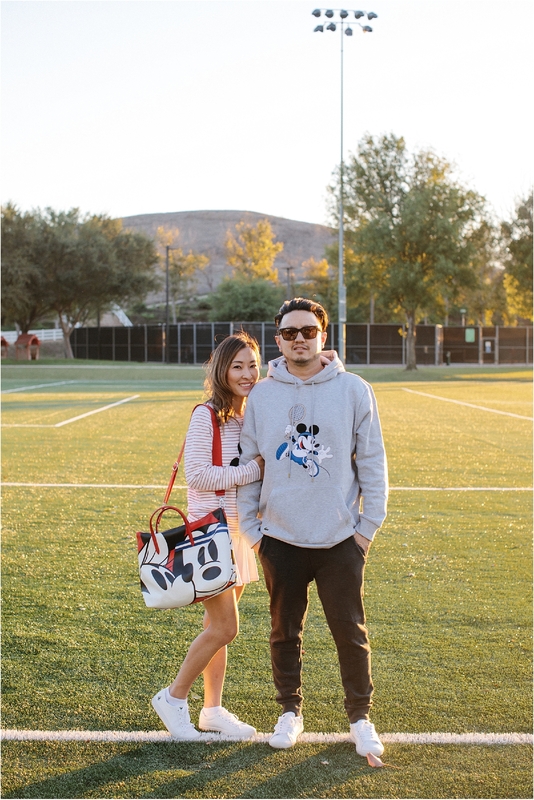 The sneakers are Disney inspired yet still maintains LACOSTE’s iconic and clean look. Another great part of this collection is the LACOSTE x Disney classic polos. 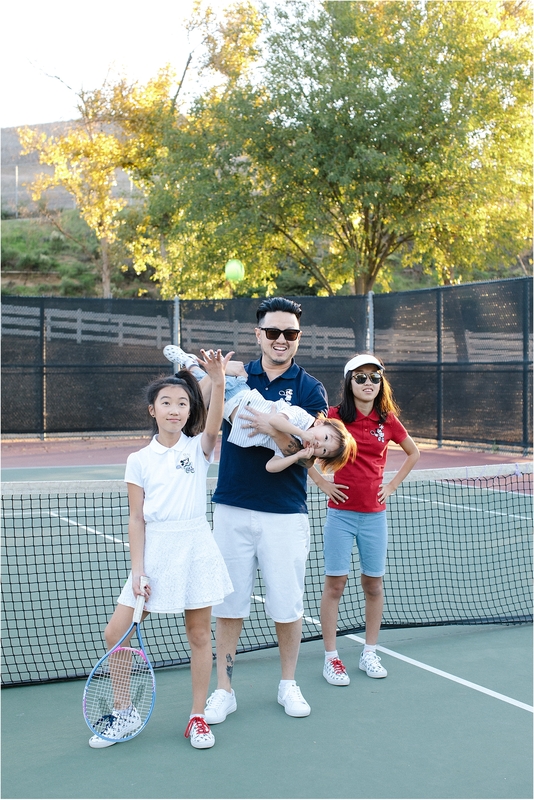 These polos come in a variety of colors and features Mickey and Minnie playing Tennis. You can wear them casually or when you’re participating in family sports. 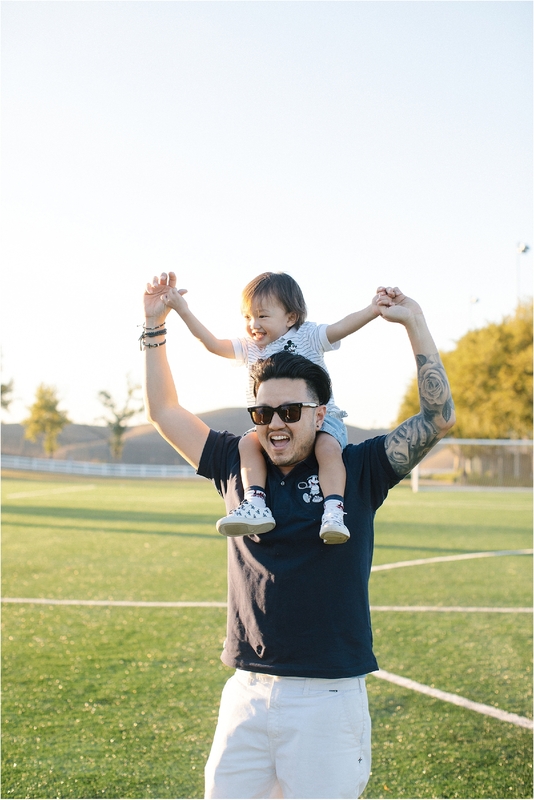 These classic polos also make the perfect holiday gift for a father and son. 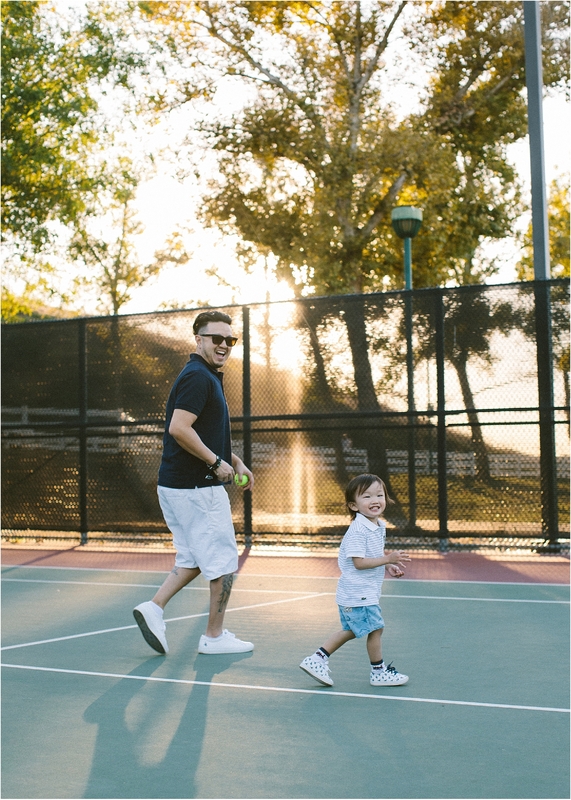 Even men who aren’t into the traditional matching look will love matching with their kids in this LACOSTE x Disney collection. You can find them here and here. 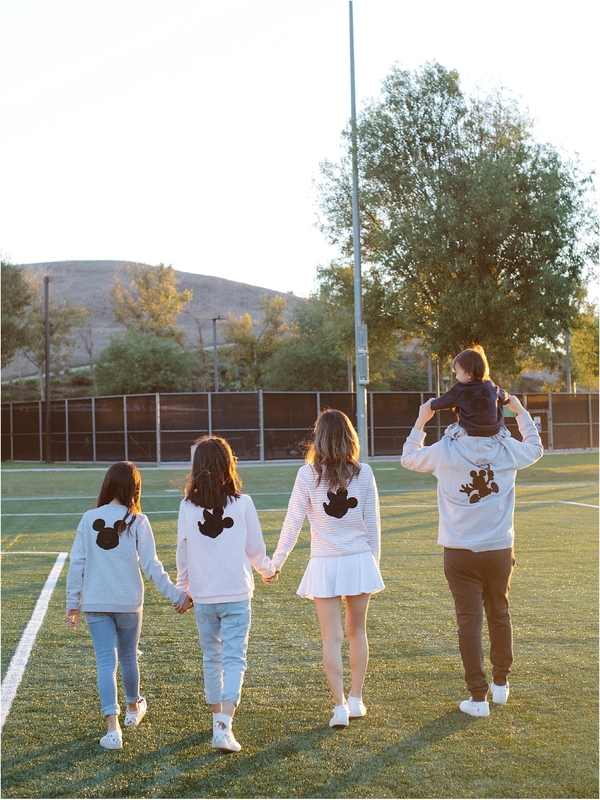 If you’re a LACOSTE and Disney fan like my family, don’t miss your chance to own these iconic pieces from their capsule collection and add them to your holiday shopping and gifting list. 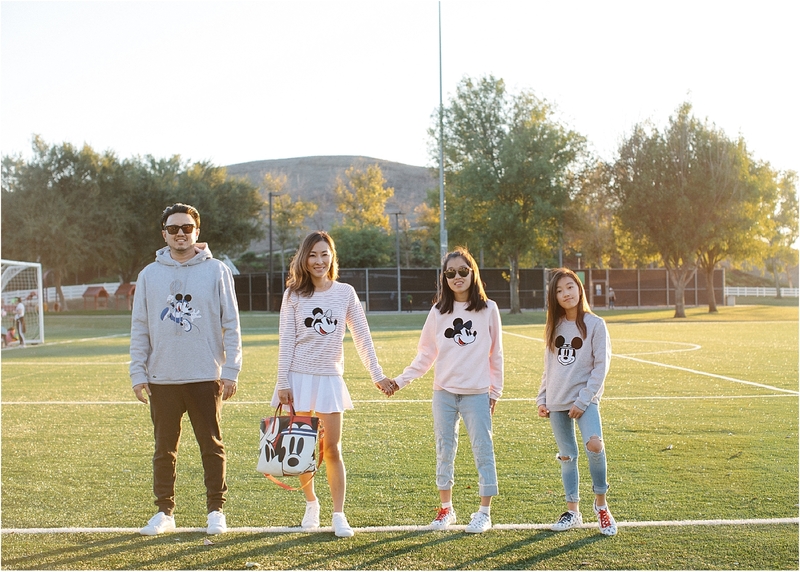 They’ll even make the cutest look for this year’s family holiday card! Which is your favorite piece from this collection? You can find more styles by visiting LACOSTE boutiques or online.